Avoid postpartum weight gain after pregnancy. Take hold of your body and make the same recovery woman around the world are making. You too can get your body back through proper dieting and exercise. Although not much of a concern during pregnancy, the weight you put on bubbles up after birth telling you to go on a diet. In that respect, there are many people who find it hard to return back to a comfortable weight after pregnancy. To say the least, breastfeeding and recovering from the aftershock associated with giving birth continue and the thoughts… When is the best time to start… Will I ever be able to return back to normal? 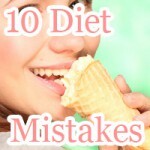 When you are off guard, finding the right time to start dieting is difficult to say the least. How you spend your time six months after giving birth dieting affect the way your muscles and pelvic floor, not just your weight. Let’s dive into the how you can stay on top of your body after giving birth. The time to slim down is now! The real fight is starts before six months after giving birth! Although not much of a concern during pregnancy, the weight you put on bubbles up after birth. It is no surprises that so many mothers like you likely end up taking up postpartum exercise and a new diet after giving birth. 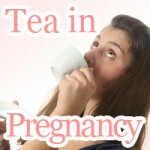 In that respect, there are many people who find it hard to return back to a comfortable weight after pregnancy. After bringing a healthy baby into the world that last thing that should be on your mind are postpartum exercises. The months following the well-worth aftershock of going through labor, like calm after a storm is a time when you deserve the rest. Nevertheless, postpartum weight loss is on your mind. Will I ever be able to return back to normal? Can you exercise when pregnant? Losing weight after pregnancy should be the last thought on your mind at this point. The truth about weight loss after pregnancy is that it may be the most challenging thing you may face. Before you even start you have to ask yourself, what kind of postpartum exercise plan works. Exercise after pregnancy isn't easy to say the least. However, you would be surprised how the best post pregnancy workout is so primitive, breastfeeding your baby. Postpartum diet and exercise is a whole different set of hoops to jump through and walls to climb. How you spend your time six months after giving birth dieting affect the way your muscles and pelvic floor, not just your weight. Let’s dive into the how you can stay on top of your body after giving birth. The time between giving birth and six months after is said to be the best time to start postpartum exercise to return your body back to normal. In addition, the first three months is said to be where most of it happens. Without doing much at all, most of your body weight should start shedding. While pregnant in order to ensure the safety of your newborn baby, hormones greatly affect your body making it easier to store away fat and accumulate fluid in your body. That is why even if you are someone who doesn’t usually have to worry too much about gaining weight, pregnancy makes it easy. However, after birth your hormone balance returns back to what it was originally. That is to say that you body stops storing away fat and given that you don’t overeat, dropping pounds of fat shouldn’t be an arising problem. Why people put on weight after pregnancy? If the time after birth is easy to lose weight, why are there still people getting fat after giving birth? Worrying about the wellbeing of your baby can be restless. Not only does the amount of continuous sleep greatly affected, the amount of time you get to yourself also decreases. Unfortunately, this only leaves eating as your only method of stress relief. The reason why your calorie intake is too high, causing you to gain weight, is stress. During pregnancy, especially in the last month, your stomach preventing you from moving around as much as you may have liked. As you moved slowly as to not harm the baby nested safely inside your body, the amount of exercise you got may have dropped significantly affecting your muscular strength over time. By dropping muscle mass, so does your metabolism. This is one reason why people gain weight after pregnancy. While pregnant there was always the justification, “eating for two.” Although there are a lot of pregnant woman who would agree, this sort of mentality has no bounds and shouldn’t be continued after giving birth, unless breast feeding. After birth, unless you are really eating for two, continuing to eat as you are is not recommended. The inability to return to normal eating habits is another reason behind weight gain after pregnancy. Burn off the fat you put on while pregnant while you still have a chance! Although during pregnancy it is easy to put on fat, the fat that you put differs greatly than what you are normally used to. This fat is said to retain more fluids than normal, making it much easier to be burned off doing postpartum exercise when compared to fat put on outside of pregnancy. Be careful, because after six months have passed, even this easy to burn high fluid retention baby-fat becomes no different than any other fat stored in your body. 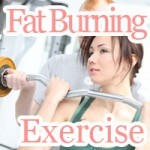 Find time to burn of the fat you put on while during pregnancy before it is too late. Start getting active about a month after birth, adding light (postpartum) exercise and stretching to your daily routine. Burning it off during this time can make a difference in the long run. There may be people out there wanting to go on a diet after giving birth, but are worried postpartum exercise might affect breastfeeding and their health. Although in order to get your body to revert back to normal dieting may be necessary, this doesn’t mean that any diet works. Be careful to give your body enough time to recover from birth before proceeding with your diet. When you are ready, taking things step by step is a must. The time between birth and six months thereafter is advantages toward helping you slim down. However, it’s important that you get proper rest during the first month. Eat balanced meals, while holding back on high calorie foods, resting up before it is time to get you back in shape. After a month’s time and hearing from your doctor in your postpartum exam that you are healthy, brace yourself and start getting on it. There are many people worried that even after return their weight back to normal, their body line remains the same. Although losing the fat you put on during pregnancy is important, giving your body, especially the area around your pelvis is just as important. Restricting your diet can only help you deal with your weight. That is why in addition to dieting, you should do postpartum exercises, such as kegels that strengthen your pelvic floor muscles, and possibly invest in a postpartum girdle to tighten down, speeding up your bodies recover. For those choosing to breastfeed, it’s important to take special care into making sure that you are receiving balanced nutrition through your meals. When you are breastfeeding, not only are you eating for yourself, you are eating for your baby also. The foods you eat greatly affect the nutritional balance that your baby gets out of your breast milk. With that said, don’t rush you diet just yet; make steady progress towards losing weight. Getting active and being motivated after giving birth is hard but necessary for you to get your body back. 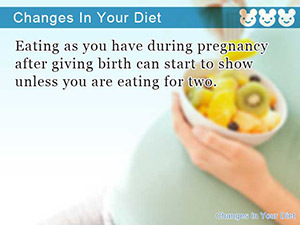 Eating as you have during pregnancy after giving birth can start to show unless you are eating for two. 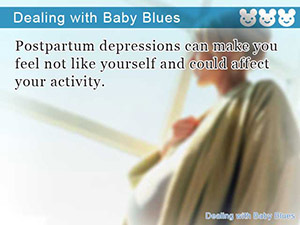 Postpartum depressions can make you feel not like yourself and could affect your activity.